Jim Craig gave the key note at the 2018 PDMA conference. He was the goalie of the Miracle on Ice hockey team. They beat the Russians in the Olympics in 1980. His talk was inspiring. Getting to the top and winning a gold medal is a great accomplishment. Winning as an underdog is even more special. In his life story, he explains how much hard work and dedication it took to get there. It seemed to me, that the underdog approach to winning is very well applicable to managing an innovation project. 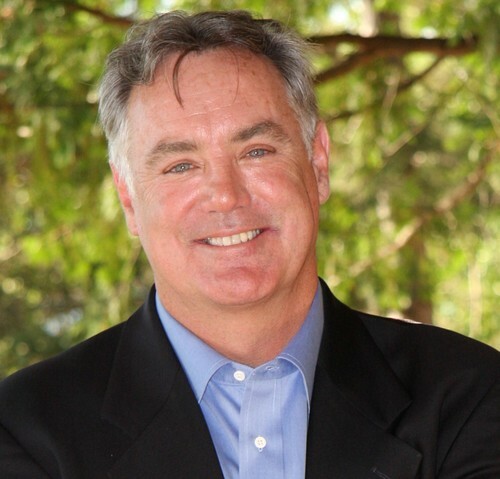 In his keynote, Jim Craig explained what it takes to be a winner. Set a goal, commit to a game plan, put in all the hard work it takes to become better than everyone else, and do this as a team. Most of the talk was dedicate to his Miracle on Ice experience. He explained that the movie depicts well what happened. However, a two hours long movie can clearly not explain the whole story. With regards to that victory, he also elaborated on the role of the underdog. Explaining that if you go in as an underdog, you still have to expect to win. Without a winning mindset, you are doomed to lose. Jim Craig explains what it took to win from the underdog position. The list below is borrowed from 10 things winning underdogs can teach us about success. This list seems very appropriate when developing new service, as in most cases any new service starts out from the underdog position as well. Why would it be better than the current alternatives? Ice hockey is the perfect example of teamwork. No individual player can win the game and to be successful you cannot do it alone. You are only as successful as those you lead. Managers are only as successful as the people who report to them. Success is a team effort that is shared by all. That also holds true in organizations. You cannot win on your own, when developing a new service solution either. It takes a team. Some call it passion, drive, motivation, zeal. It is the self-driven attitude to be the best at whatever you do. To be successful, you must be passionate about your work, your team, your project, your department, your company or any other aspect of your life. You need to believe in and be passionate about the problem you address. Winners win because they never lose their belief that they can win. Even when faced with what seems like insurmountable odds, they have faith in themselves that they will find a way to make it happen. As soon as you think it cannot be done you have lost. You have to have faith in that your innovative solution is better. While I attest to the importance of having a winning mindset, I don’t want you to confuse this with a fixed mindset. Your road to success will not just be all success, there will be drawbacks. Expecting these and learning from them, is essential, otherwise you won’t even make it till the end. Stick to the basic strategies that lead to success. Passion for your work, good attendance, a strong work ethic, and using best practices are all basics that lead to success. There are no shortcuts. Consistently strive to always do your best and continue to improve yourself. Success comes in small steps. When looking back at successful innovations, we often fail to recognize the years it took the team and organization to get there. Embark on your innovation journey, take it one step at a time. To make fear manageable, it helps to use the affordable loss principle. What is the worst that can happen if things don’t work out as you thought? If that scenario is unpleasant but acceptable, then go for it! An inflated ego can literally kill your project. When you think of yourself as a “know it all”, a person who is always right, a person who better than everyone else you are in deep trouble. You don’t know it all because there is always something new to learn. If you think you are always right, you close yourself off to new ideas and approaches. Trying to improve yourself and your career without a plan is like taking a trip to a place you have never been without a gps or map. You have to know where you want to go and how you are going to get there. Your ultimate destination or goal may be far off so there will be many stops along the way. By the way, this is why I have so much respect for athletes, dancers, musicians and other performers. They make it look so easy and seem to have pleasure in disguising the years of hard work and dedication it took to get to that stage. You will not win every time. How you handle setbacks and failures can determine if you win the next time. When you suffer a setback, find out what happened and take steps or learn lessons so that it does not happen again. Setbacks do not mean the game is over. Pick yourself up, learn your lesson, and get back in the game. Same holds for your innovation efforts. Your first try is unlikely to be successful. Persistence pays off. Is beating the odd just a matter of hard work? As with many of these success stories, I always wonder, is success indeed something that just requires a lot of hard work, dedication, and learning from mistakes? Can you become a winner, regardless your abilities, the starting point, where you are at, or from? The video above explains why that may or may not be true. Some certainly have to work even harder to be successful. How does this play out for innovation projects? All innovation projects start from the underdog position. The status quo has the upper hand. Not surprising therefore, very few innovation projects make it till the end and turn out to be successes. Most result in failure. Yet, as Jim Craig explains, those failures could be your stepping stones to future success, when you apply a winning mindset. Without trying, working hard, and applying some of the other things mentioned above, you are very unlikely to succeed. However, that does not mean, that if you apply all these suggestions, that you automatically will be a winner. What do you think it takes to become a successful innovator? Let me know your thoughts below.